Hi all! And I'm back with ANOTHER blog hop with Pinkfresh Studio and friends! 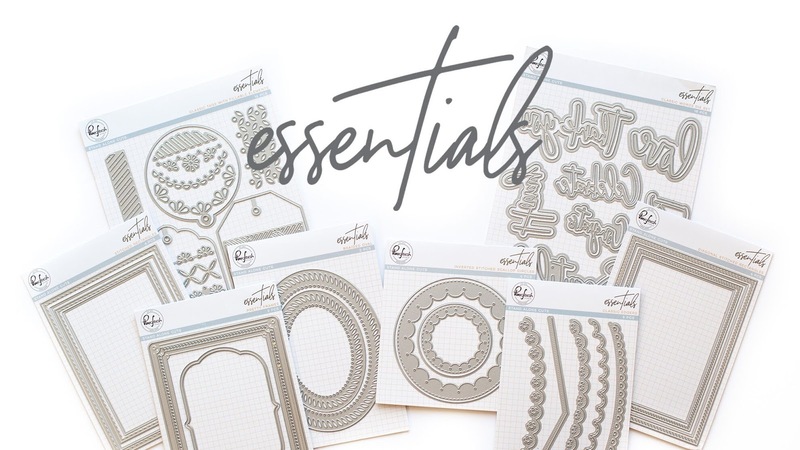 Today is all about a fun new release of Essential dies! You know, tags, words, edgers, frames...those timeless things you can use on any project to add some extra details or combined with other products to make your card go from good to amazing! We've got a fun lineup for you, and you can hop from one blog to the next, or head back to the Pinkfresh blog for the entire roster and all the details. Before this stop, I'm sure you saw some truly beautiful projects from Natasha. Before you leave here, there are prizes and special offers you'll want to hear about so be sure to scroll all the way down. My favorite dies are usually words and sentiments. I love being able to cut a word out of card stock, patterned paper, or even glitter paper, and being able to just add it to my project as an awesome die cut sentiment. I'm sharing a couple examples of how I used the Classic Words today. I think you're going to love these dies! The concept of my first card is simple and fun! I really wanted to showcase one of the phrases, and what better way than with a repetitive design of that phrase? I chose 'Congrats' and cut it out of Joyful Day's Fresh Start paper multiple times. I love the black, pink, and hints of green, and it was a great design for this skinnier die cut word. I arranged the many 'Congrats' at an angle on my A2 card, spacing them out and testing the placement of each before committing to adhering them to the card. I also cut the word out of gold glitter paper, and the outline of the word from bubble gum pink card stock. Knowing where I would put that was important to the entire design scheme. Once I had a pattern I liked, I used a glue pen to adhere the words to the card base. I like some dimension so I only added glue to the middle portion of each word, leaving the ends to curl up. If you're thinking of replicating a design similar to this, you can glue down the entire word if you'd rather. I used 3-D foam dots to stick on the pink and gold 'Congrats' to give that element an extra pop! Not wanting to add too much more to this card, but feeling like it needed just a little something more, I raided my stash of sequins to find some in black, dark and light pink, mint, and even some tiny gold stars. Where this is a fun, celebratory greeting, my second card is a bit more soft and sweet (but no less celebratory). I wanted to show how these dies work with any card style; while the first one was modern and somewhat minimal, the second one is florals and doilies. The background paper comes from the Joyful Day 6x6 paper pad; it's called Simple Pleasures. I used the new Essentials Braided Ovals in the smaller size to die cut some Out and About Tickets paper. While the papers are from 2 very different collections, I'm actually quite smitten with them together. I used the 'Hooray' die and backer as my message for this card; cutting the traditional word out of gold glitter paper again, and the outline from the Simple Pleasures paper. In keeping with the curves of the Braided Oval frame, as well as the bubbly outline of my sentiment, I added white and gold doilies behind the frame as my texture. A 'shine on' puffy sticker completes the card. A few frills and lots of femininity here! 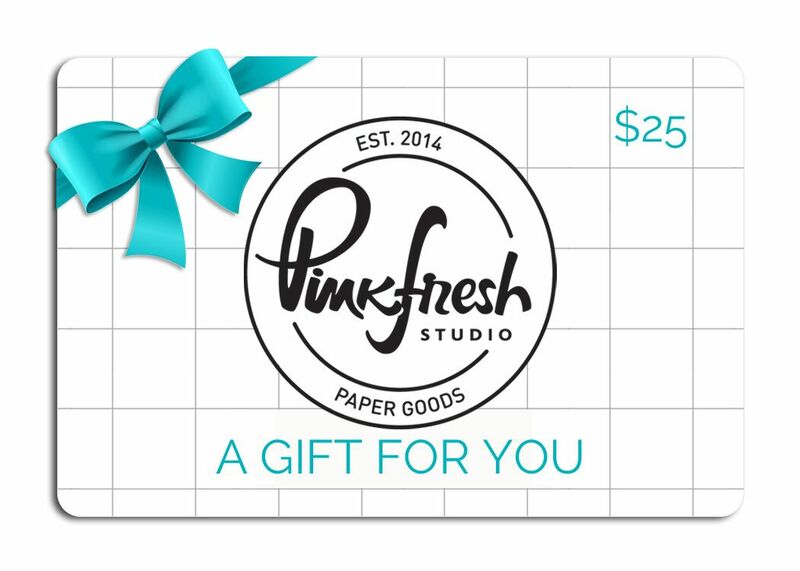 Pinkfresh is giving away the entire April Essentials Release on their blog and also on their Instagram page. Each blog on the hop will be giving away a $25 gift card and the winners will be picked from the comments, so be sure to leave some love along your journey today! First is a free House die with purchase. There is no code necessary, and the die will automatically load into your cart while supplies last. Second, PF will be offering free/discounted shipping from April 8-11th on orders $50+. You must use the code APRESSFREESHIP50. Shipping is free in the USA, and $5.50 off for International friends. WOW! I love all the layers and the sentiments! The congrats card must have taken forever but totally worth it! That's it... all things celebratory here, always, Rebecca!! 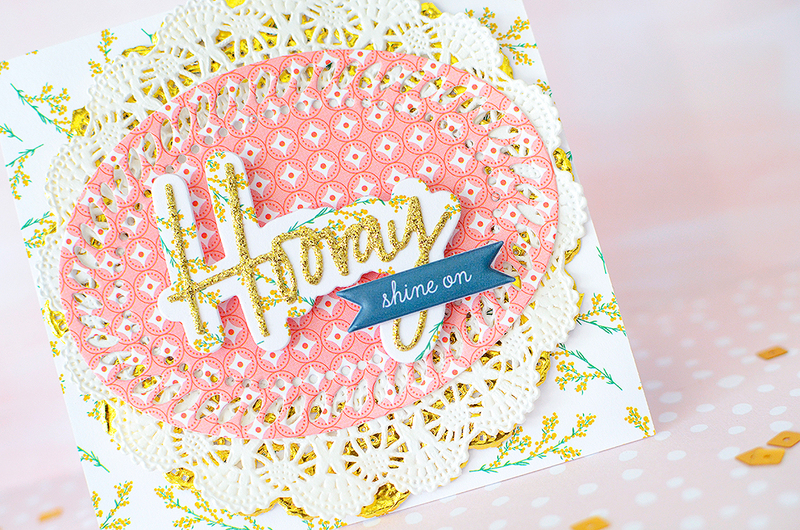 Gorgeous using the patterned paper! Beautiful detailing, I love the new release! Using 2 decorative paper patterns together is such a cute look. I have never tried that, but will now. Thanks. These cards are great. The congrats are just so much fun and the hooray is very pretty. I loved seeing them. The congrats card is so simple yet very effective. Beautiful cards. Rebecca I adore both cards and I love they way you incorporated the beautiful patterned papers from Joyful day! Thanks so much for the inspiration! Congrats on making a great pair of cards and for making the design team! yay! Both cards are gorgeous. I especially love that congrats card. That pop of pink is so sweet. Fun 'congrats' card! 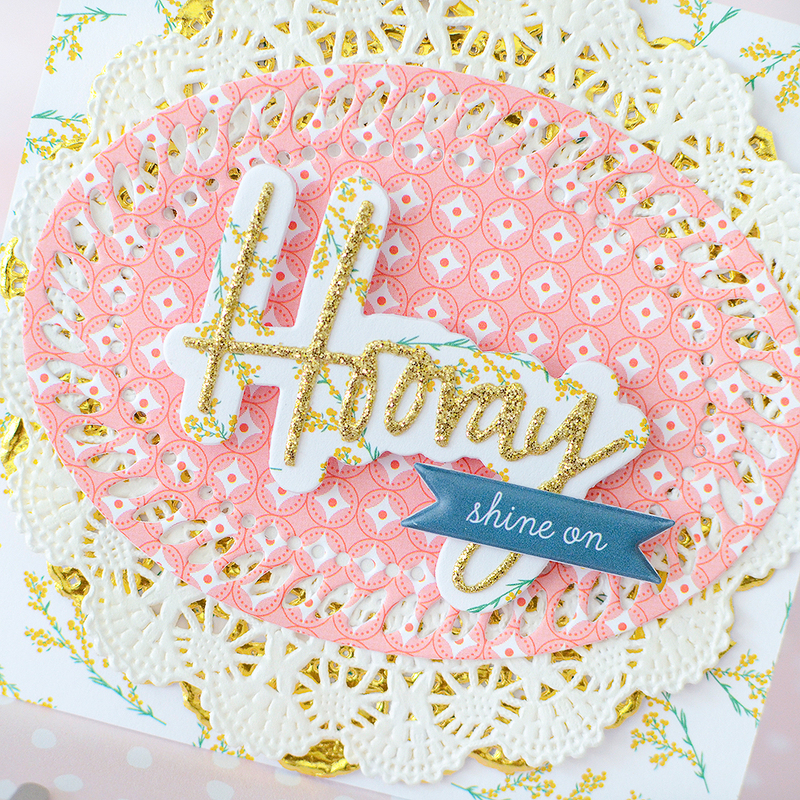 And love the pretty 'hooray' card and your mix of papers. Awesome cards Rebecca and I love the designs especially the Congrats card. So fun and pretty! These are so pretty! You matched the paper and colors perfectly! Gorgeous cards! Love the layers and fun sentiments. I espeically love the fun way that you used the Congrats word die! Lovely cards! I especially like the second one. 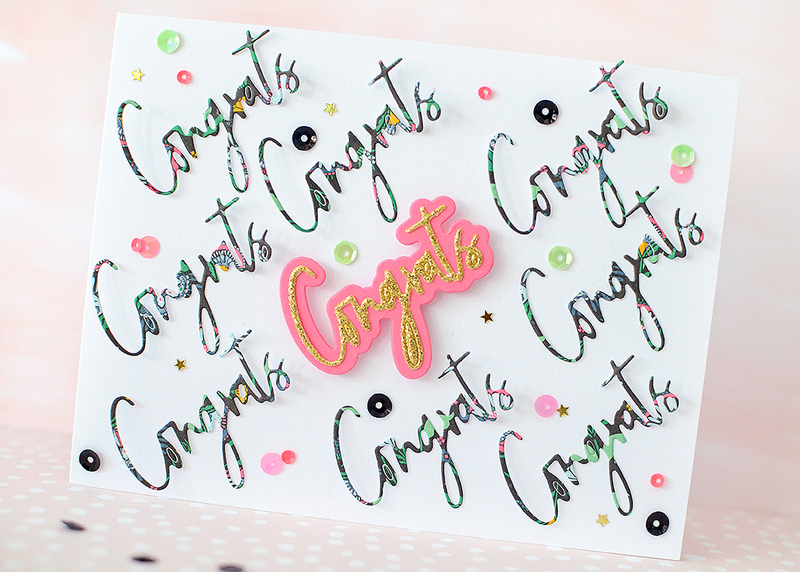 Love your congrats card, it’s so playful. Wonderful job. Thanks for sharing your creativity! Great cards! I especially love the patterned paper and doily peeking out. What lovely projects!! I LOVE the paper you used! Oh so pretty. Love this release. Such fun designs! Love the colors, and that congrats card is too cute! What fun ideas! The congrats card is genius! Woah, the Congrats card is so bold and fun! Love the subtle pattern! So pretty! Love the congrats card. Always need them and that one can be pink or other colors and be great for so many occasions. Thanks for the inspiration. Such Happy and Celebratory cards! These dies are really wonderful! Such beautiful designs! I really love the repeated Congrats - super fun. I love sending cards and letters to family and friends instead of sending through text, email, facebook or twitter...they always seem to enjoy the extra effort. Love the design. Simply gorgeous! Love this release. You highlighted it so well. 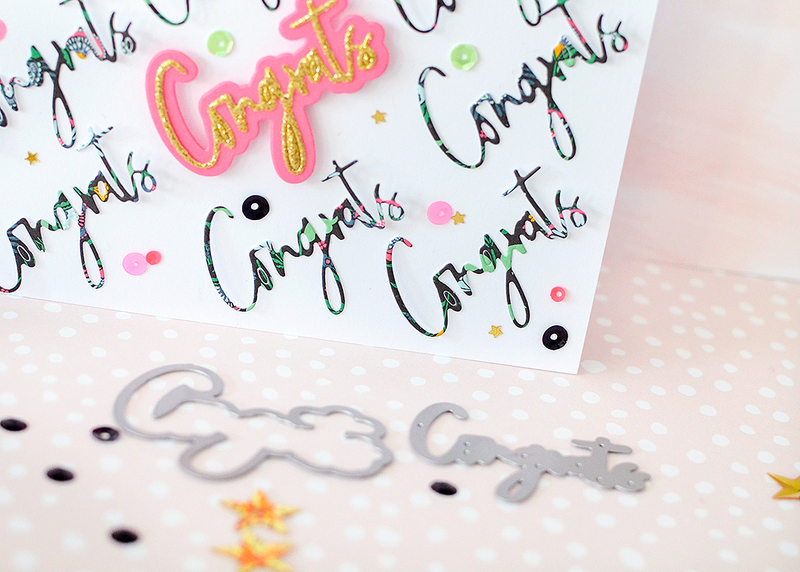 Your Congrats card is super fun and fresh! Loving the new products, especially the edgers and ovals! Love all the elements of both cards. These skinny words look so great standing alone or with their shadows. Love the Braided Oval so much. Thanks for sharing these. Love how you have shown the word dies so well. The gleam of gold is fabulous! Fabulous cards!! Thank you for sharing. Such pretty cards!!! 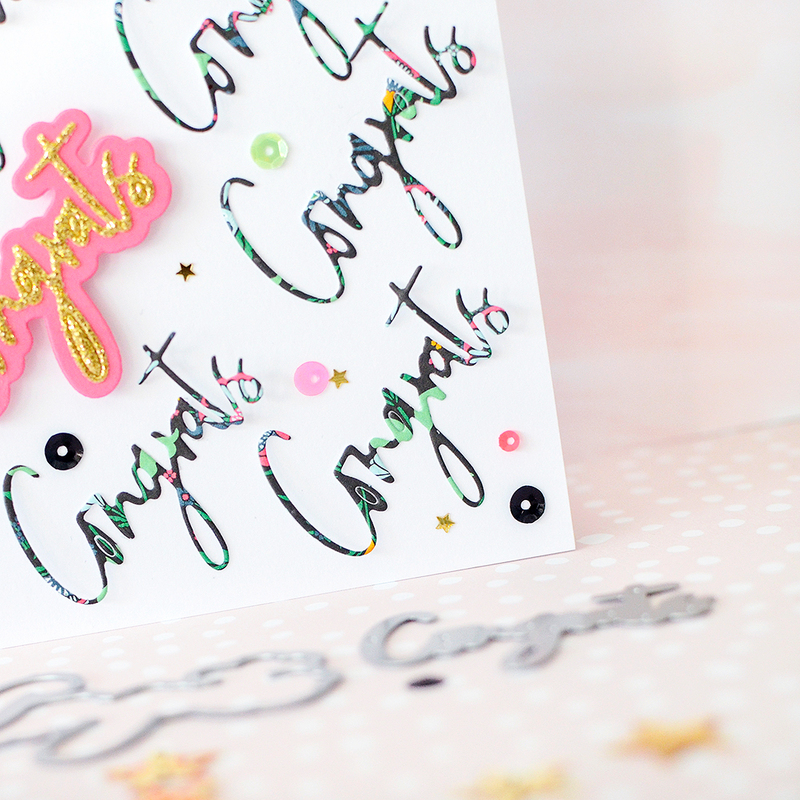 I love the repetition of the Congrats and that it was die cut with patterned paper...it looks fab!!! Very creative!!! My favorite card is the Congrats one. 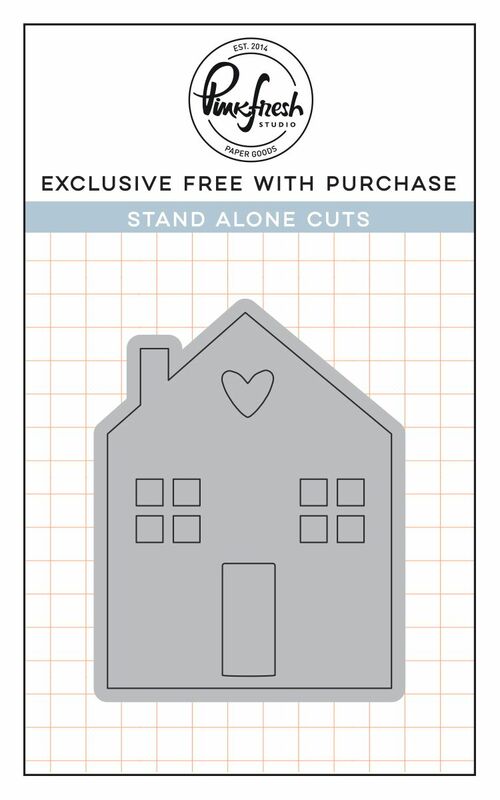 The paper you used adds so much interest to the die cuts. Awesome cards with such pretty details! Love the new word dies! The is an amazing release, I love them all. Thankyou Rebecca for your inspiration your cards are awesome! Great cards. The congrats card is so fun! I dont have words to explain the beauty of your cards. love them both. Your creations make me happy. Wow! Amazing work. Very beautiful and very inspiring. The new release is fabulous. I really love the new sentiment dies. Your cards are so awesome. 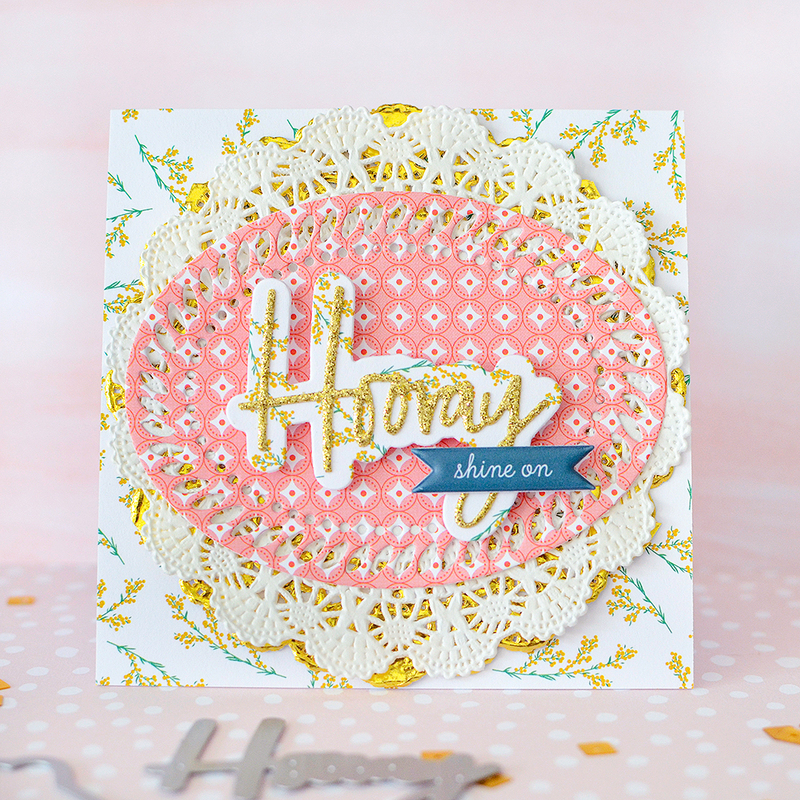 I love the pretty Hooray card with the pretty patters and the doilies. The Congrats card is just such a fun design. Very cute cards. I like repetition on your sentiment card. Love your cards! I have nothing like these dies! I need to get some of these! These are such fun designs. Great job. Both your cards are really nice, but I'm particularly taken with your congrats card. It looks unlike anything I've seen in this hop, and I love the almost 80's color palette you went with. Thanks for sharing with us! 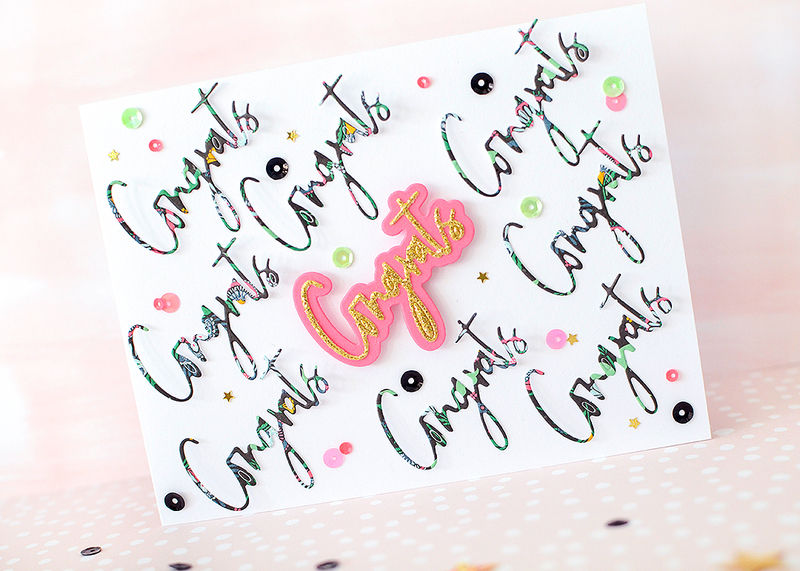 I love the repeated Congrats on your card, such a fun idea, especially with the patterned paper. And the layers on the other card are beautiful. Great font on these dies!